CLOSTER, New Jersey (WABC) -- Eighteen years ago, two New Jersey police officers helped bring a baby girl into the world. On July 13th, 1999, Closter Police Officer Tommy Brueck, now a Lieutenant, and Officer Luis Ruiz stepped in at the right moment during a call to help a woman deliver her daughter Amy. 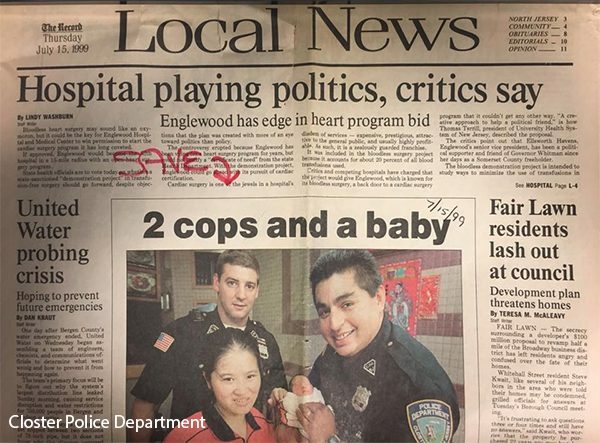 A close-up picture of a newspaper article from July 15th, 1999 about the officers assist in Amy's delivery. The young woman returned to the police department on Thursday for the first time since her birth to visit and thank the officers. 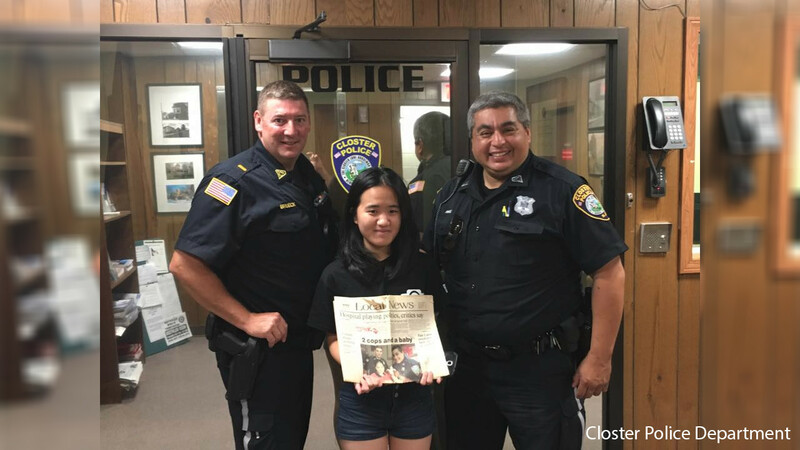 The officers told her during the visit that she'll always have a home with the Closter Police Department. Amy is now on track to start college in August.